Hello everyone! Let me start this post by greeting you a HAPPY NEW YEAR 2014!! I wish you all a great year ahead and let's embrace the positivity more this year! I'm sorry for not updating since last month. 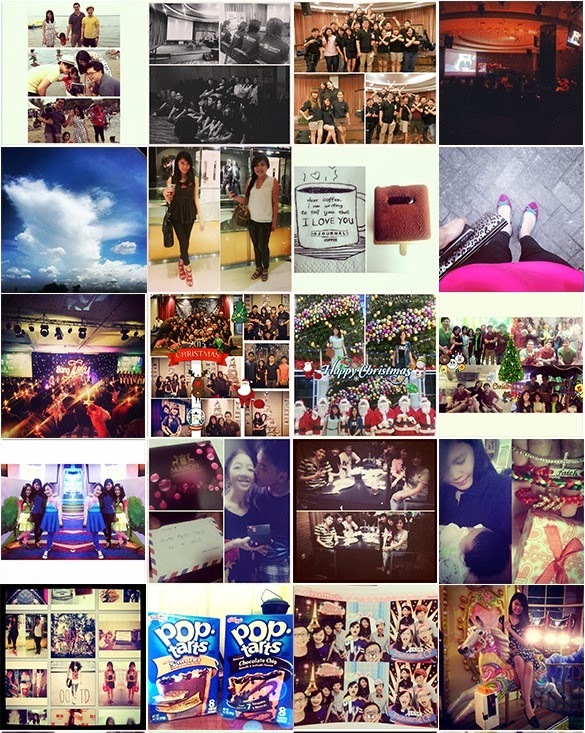 The truth is, i had been stuffed with lots of exciting agendas and been busy making memories towards the end of 2013. It's just unbelievable how fast is December passed and now, we're already breathing the 2014's air! I guess time really is flashing in a blink of an eye! ♥ Last day filming! ♥ Screening day of The Exchange ♥ The Exchange cast and crew! ♥ The Exchange PREMIER ♥ Beautiful clouds ♥ Catching up with my collage friend, Emilia Vinna, had a great deep convo, looking forward to meet her again x ♥ Afternoon sweets ♥ SOTD ♥ Church christmas celebration ♥ Youth christmas celebration ♥ Christmas's eve with Stephanie! ♥ Christmas's eve karaoke with my fav crowd ♥ With my little girls ♥ Mother's day! ♥ Dine in with fellas ♥ Visiting my friend Melissa's new born daughter <3 and a pretty Christmas present from her! ♥ NEW INSTRAGRAM ♥ Latest obsession! ♥ Photobox madness <3 ♥ Riding my unicorn to 2014! Coming next: 2013 Summery & 2014 Resolutions! Did you have a great December?